Just as soon as Will finished the siding on our storage barn, we got it stained. 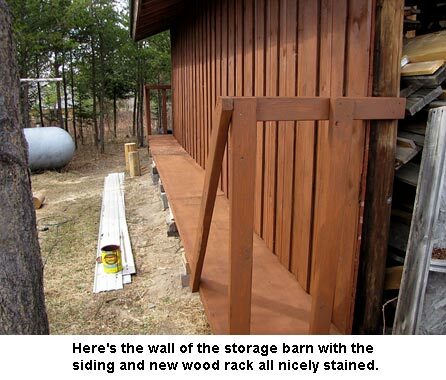 Then Will stained the wood rack he’d built next to the south wall of the storage barn. 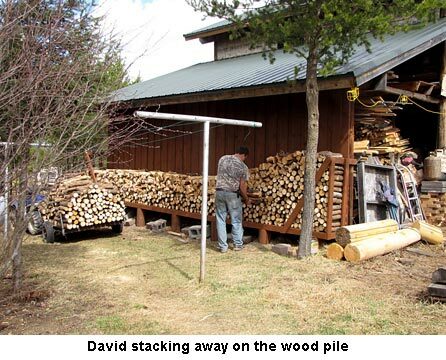 He and David had been sawing up some of the wood they’d brought home from the logging site. So we all got busy and hauled it to the new rack and started stacking. That went great. Then we split up some very big pine rounds from a saw log Will had been trying to get ready to run through the band saw mill. They were HEAVY! But we got two trailer loads from just those four rounds. 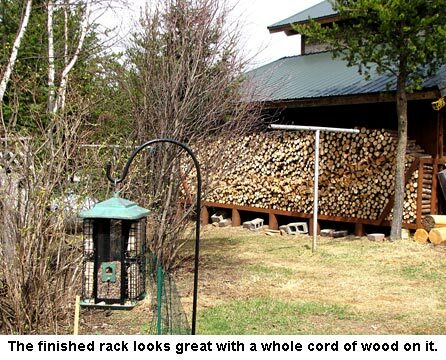 Finally, all the wood that would fit on the rack was stacked neatly. All in all, the new rack holds a full cord of wood and we think it looks so nice, protected from rain by the roof overhang. I’d like to take this opportunity to thank all of you who have supported our homestead growth by buying seeds from our Seed Treasures business. Every sale has contributed much to getting more done around the place: Without you, we couldn’t be doing as much as we have been. Thanks from the bottoms of our hearts! I hope you all had a wonderful Easter. We did, even though my oldest son’s, wife, Kelly had to work so they couldn’t come. David drove to town and brought Javid out so we had a nice dinner, some fun, and enjoyed the day. And we didn’t even have any snow. Often, here in northern Minnesota, there’s snow on Easter, so having spring-like weather was a huge blessing to us. We even got to play with Ashley’s four ducklings. For now they live in a plastic tote in the bedroom but are darned messy. So David brings them down into a duck corral he put together for some R & R while he cleans their tote and puts in new wood shavings. Javid really enjoyed watching them play in the fresh grass and in their little water dish. Our birds have been joined by purple finches, pine grosbeaks, and a few grackles. Grackles are kind of bullies but are sure pretty with their shining blue-black feathers. Two days ago, our spring peepers joined the wood frogs in singing their little hearts out. They sound like thousands of jingle bells! Such a pretty night song, we just had to open our windows so we could go to sleep listening to them. Although it may seem like “weeks”, it’s only been one week. Really. I haven’t blogged as I had the cold from hell. Coughing, runny nose and even in bed for a couple of days. But I’m feeling better now and sent a blog in this morning. Thanks for your concern!! My petunias are fairly small now but pretty stocky; I’ve pinched them back twice already. I’ve also got dahlias a foot and a half tall! If I had room, I’d start many more flowers but I’m packed in as it is. It’s too early for beavers to be telling us of the summer’s weather but they’re swimming around and it shouldn’t be too long before we start noticing something from them. 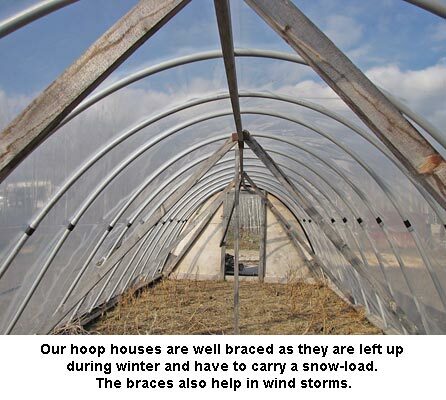 Yep, I’ve thought about doing an article for older homesteaders. After all, I well qualify at 70! I’m getting concerned; you haven’t written for several weeks! Hope everything is ok up there. You know we–your many followers–go through withdrawal when “our Jackie” isn’t filling us in on her latest activities! I have Amberlinks and Isa Browns. They do well all year here in Mid-WI. Thank you Jackie for sharing all that you do. What do you petunias look like? Do you start any other flowers? 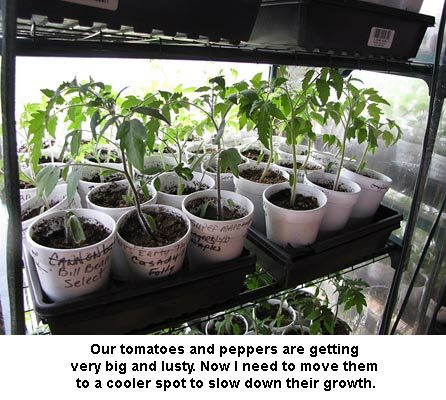 It’s funny that you are increasing your garden and I’m trying and I mean trying to down size!! 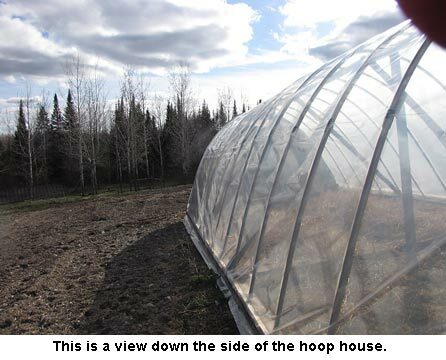 What do you think about writing an article on homesteading over 60? I sure hope the beavers are telling you it will be a nice summer!!! Although they aren’t pretty to some folks, White Rocks do very well for winter laying, are hardy and weigh enough to make butchering worthwhile. Yes, I’ve had geese; don’t now. Why? They are terrifically messy and noisy. They play in any water, making everything around them wet (including the chicken coop) and honk at any disturbance. They may deter hawks a bit but our dog, Hondo, does much better, is quieter and is non-messy! How wonderful to get another job well done! Congrats! MORE garden? Yikes! Good luck. So glad you had a good Easter. Blessings to all. Jackie, the storage barn and wood rack looks wonderful! There is nothing prettier than a full wood rack. 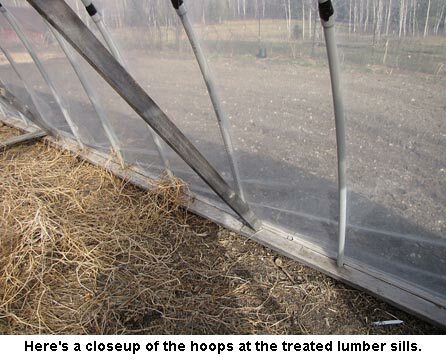 In your opinion what is the best breed of chickens for winter laying, eggs, hardiness, and carcass weight? Have you ever had geese before, are they good at keeping hawks at bay? Thanks for sharing your life in this blog, yall are a inspiration to us all.